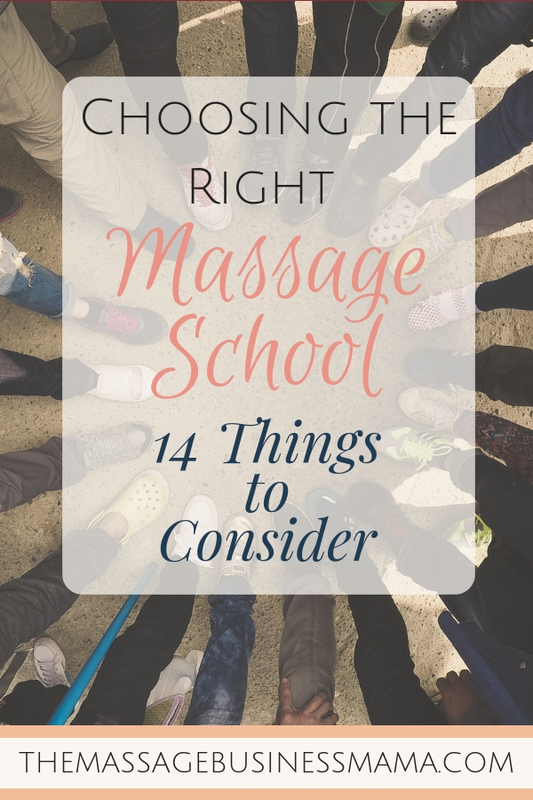 In this Post: The importance of choosing the right massage school can make or break you as a massage therapist. This post will help you choose wisely! So you have finally decided to take that next step. The step to pursue the thing you have dreamed about for so long, massage. The problem is, NOT ALL MASSAGE SCHOOLS ARE CREATED EQUAL! They just aren’t. And if you want to have a long, fruitful career as a massage therapist, it is important to choose wisely! Choosing a massage school can feel like a daunting task, at least finding the RIGHT massage school. There are so many factors to consider! Cost, length, housing….the list goes on. I cannot emphasize enough how important it is to consider ALL of these factors before making a final decision about which program is right for you. Did you hear me? I hope so because you are investing in yourself and your future. And there is nothing more important than investing in yourself! None of what I have said or am about to say is meant to be mean or judgmental. I am just speaking from experience. I have been hiring massage therapists for over ten years, and I have seen the huge discrepancy between students who went to high caliber schools versus those who did not. While I am not trying to get you to go into massive amounts of debt for massage school, I do want you to know that there are HUGE differences between the schools! And that your earning potential will be affected based on the education you receive. The next several stories are examples I have experienced where massage schools have underprepared their graduates for the realities of working in the industry. One recent massage grad was never taught how to massage the glutes. The glutes are such an important muscle group! They contribute to so many dysfunctions, yet her school chose not to teach this area because they felt that it was too personal of an area to be massaged. Ummm, seriously?! During a hands-on interview for a recent massage graduate, I gave her the instructions to give me a one-hour full body massage. She proceeded to massage my back for twenty minutes, at which point she stopped, confused and asked what she should do next. It was as if she had never been taught how to do a complete sequence. I’ve seen many students leave school feeling like they are giving deep tissue massage when really they are doing a basic Swedish. I’ve had therapists come to work reaking of motor oil, marijuana, and cigarette smoke. A school that emphasizes professionalism would never allow therapists to graduate thinking that it is okay to show up to work in this manner. One therapist was never taught how to massage with blankets on the client. Coming from a cold environment, I’m telling you this school did her a disservice. People want blankets on them when getting massaged in the Rocky Mountains (and many other parts of the country and world)! Many of these schools do their students a disservice. They over promise, and under deliver. But the biggest problem is I don’t even think they realize they are doing this. I think often the instructors have been taught in a similar environment and therefore don’t understand that their program lacks. Which perpetuates the problem, you don’t know what you don’t know. They have drunk the Kool-Aid, and think that their program is the best thing since sliced bread! I was approached a couple of years ago by a woman who was considering massage school. Living in an area where there was only one option for schooling, a community college, with less than stellar reviews, she asked me my honest opinion about whether or not she should attend this school. This woman had children and a husband. Her children were well established in the school and community. Her husband had a good job and was supporting their family. Really it was either go to the community school or not go to massage school at all. My advice to her was to go to the school, but to supplement her education. To find a mentor to give additional training, to plan on doing a fair bit of continuing education, to find ways to fill in the gaps of her training. This is exactly what she did, and she now has a successful massage career. Had she relied solely on the community school for her education I truly believe she would not be where she is today. I’ve watched too many students come out of this exact same program and completely flop! You may find yourself in a similar situation. If you are able to go into such an environment with your eyes wide open, knowing that you too will need to find ways to supplement your education you may be able to have a successful career. This wouldn’t be my first choice for you, and it shouldn’t be your first choice for yourself either! You deserve a school that will prepare you above and beyond the basic state requirements. One that props you up and gives you the confidence to leave school feeling completely ready to jump into your chosen field. But if for whatever reason this isn’t an option, MAKE SURE TO SUPPLEMENT YOUR EDUCATION! As an employer, it is a frustrating experience to have to spend countless hours retraining therapists who went to subpar massage schools. They exit their school and are not prepared for the reality of massage in the real world. When I graduated from school, I was ready to tackle so many of the challenges that presented themselves because my school set me up for success! What do their finances look like? Did they just purchase a shiny new building that they can’t afford, therefore they may be apt to make unwise decisions to cover the cost of their construction? Is it a college? If so you can get financial aid. How many teachers are there? I know so many schools that have one teacher. It is my firm belief that you cannot learn massage from one teacher. What if you don’t resonate with that one teacher’s teaching style? I also believe that different teachers bring different things to the table, fresh perspectives and contrasting views. Having this type of variety allows you to have a more balanced, well-rounded education. Does the school have a holistic approach to teaching? Do they dive into your own touch history? Do they emphasize self-care? Are internships or community service hours required? Hours where you are actually getting out into the community and working on people, and I don’t mean clinic hours. I believe these hours are a crucial part of the learning experience! Do they have support for you as you learn? Such as peer tutors, special testing procedures if you have a learning disability, or therapists to help with the emotionally challenging aspects of attending massage school. Do they teach the business side of massage? How many hours is the program, how many days a week, and how many months? In my opinion, anything less than nine months isn’t enough. What do the faculty and students say about the school? A friend of mine recently went “massage school shopping,” she had a chance to talk to one of the teachers after touring her ideal school. The instructor told her that while she taught at all of the massage schools in the area, the one she believed was the best was the one my friend was visiting. Can you talk about a good sign! This type of candid feedback may be hard to get, but if you are able to get it, it will be priceless. What are the requirements for applying to the school? Does the school emphasis professionalism? Once you have gotten answers to some of the above questions, narrow down your options, then visit your top choices. Even if you had decided that one school is definitely the one you want to go to, make a point to visit a couple. These visits may cause you to change your mind, or they may drive home the school you were initially drawn to. Either way, you will leave with a better picture of what you will be entering into. And remember to ask questions. Don’t be shy. This is your future you are determining, make sure to get it right! Your future you will thank you for choosing a massage school with high standards! 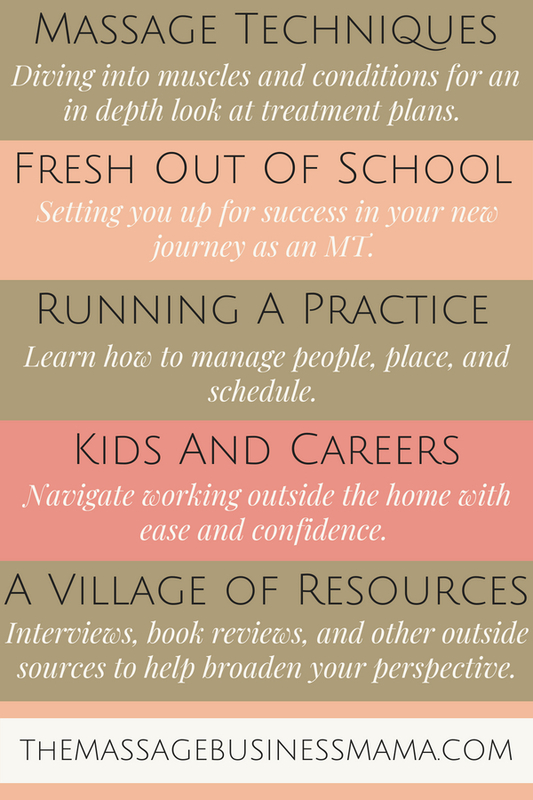 One that props you up and gives you the tools you need to be a therapist in high demand. By selecting a school with high standards, you are telling yourself that you have high standards for your life. Please choose wisely!